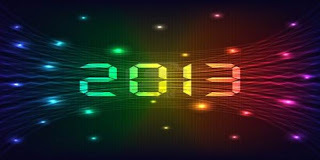 Chegados que estamos ao final de mais um ano, resta-me deixar aqui uma mensagem para o próximo ano que se vai iniciar. Se é certo que muitas interrogações se nos colocam quanto ao futuro, não poderemos deixar morrer os valores que consideramos terem significado para lutarmos por eles, pois que a vida representa sempre um desafio para qualquer um de nós. Esses valores podem ser, por exemplo, a defesa dos valores ambientais no esplendor da natureza que ainda nos rodeia ou, para nós bibliófilos, a defesa do património da história do livro e deste enquanto objecto de cultura. ou maravilharmo-nos com a descoberta de recantos mais frondosos como um bosque nas margens dum rio. No campo bibliófilo, neste breve apontamento, quero prestar uma singela homenagem a todos os encadernadores que têm a “coragem” de me lerem ao apresentar um livro que vale sobretudo pela sua soberba encadernação. Não me alongarei sobre esta pois creio que as imagens falam por si, darei apenas alguns apontamentos sobre a obra e o seu autor. MOORE, Thomas – Lalla Rookh: an Oriental romance. London: Longmans, Green, Reader & Dyer, 1868. New Edition. 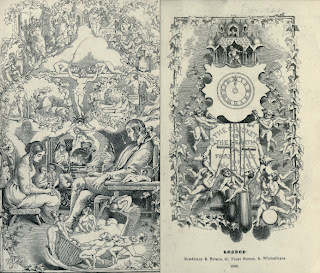 Whit sixty-nine illustrations from original drawings by John Tenniel, engraved on wood by The Brothers Daziel; and five ornamental pages of Persian design by T. Sulman, Jun. engraved on wood by H. N. Woods. 235x180 mm, XXIV, 381 pp. 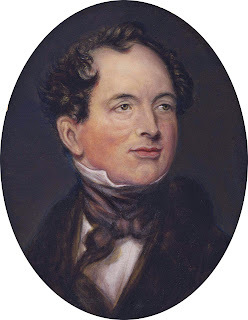 Thomas Moore was born at 12 Aungier-street in Dublin, Ireland, on 28 May 1779 over his father's grocery shop, his father being from an Irish speaking Gaeltacht in Kerry and his mother, Anastasia Codd, from Wexford. He had two younger sisters, Kate and Ellen. Moore died being cared for by his wife at Sloperton on the 26th February 1852. His remains are in a vault at St. Nicholas churchyard, Bromham, within view of his cottage-home, beside his daughter Anastasia. He was an Irish poet, singer, songwriter, and entertainer, now best remembered for the lyrics of The Minstrel Boy and The Last Rose of Summer. He was responsible, with John Murray, for burning Lord Byron's memoirs after his death. In his lifetime he was often referred to as Anacreon Moore. Retrato de Thomas Moore cerca 1840s de Blunden, Edmund. Leigh Hunt and His Circle. Este seu livro Lalla Rookh: na Oriental romance foi publicado inicialmente em Maio de 1817. "The title is taken from the name of the heroine of the frame tale, the daughter of the Mughal emperor Aurangzeb. 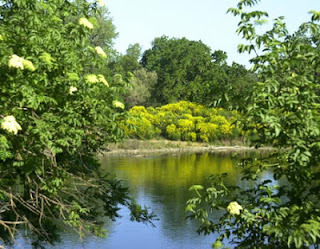 The work consists of four narrative poems with a connecting tale in prose. Engaged to the young king of Bukhara, Lalla Rookh goes forth to meet him, but falls in love with Feramorz, a poet from her entourage. The bulk of the work consists of four interpolated tales sung by the poet: The Veiled Prophet of Khorassan (loosely based upon the story of Al-Muqanna), Paradise and the Peri, The Fire-Worshippers, and The Light of the Harem. When Lalla Rookh enters the palace of her bridegroom she swoons away, but revives at the sound of a familiar voice. She awakes with rapture to find that the poet she loves is none other than the king to whom she is engaged. The name Lalla Rookh, or Lala-Rukh (Persian: لالہ رخ‎), means "tulip cheeked" and is an endearment frequently used in Persian poetry." Espero que tenham apreciado este exemplar não só pela sua encadernação mas também pelas suas belas gravuras. (1) Referência ao título de um dos seus romances que mais me deleitaram: O Paraíso na Outra Esquina / El Paraíso en la otra Esquina (2003). 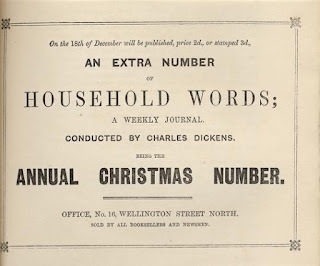 Quando se fala em Natal há sempre um escritor que nos ocorre de imediato ao pensamento – Charles Dickens. 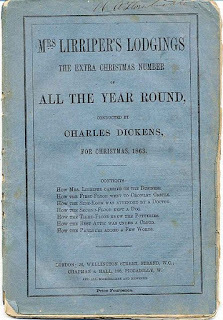 A Christmas Carol is a novella by English author Charles Dickens, first published by Chapman & Hall on 19 December 1843. 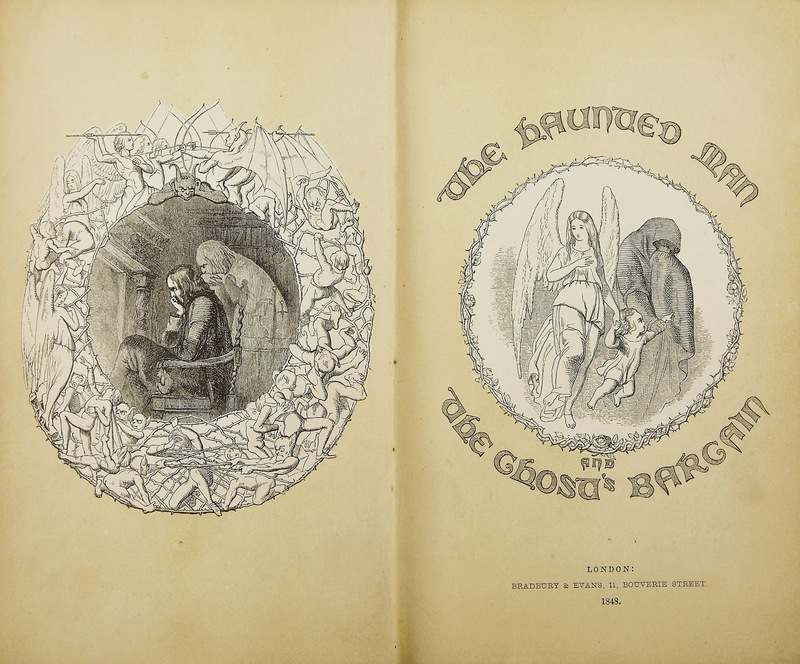 The story tells of sour and stingy Ebenezer Scrooge's ideological, ethical, and emotional transformation resulting from supernatural visits from Jacob Marley and the Ghosts of Christmas Past, Present, and Yet to Come. The novella met with instant success and critical acclaim. 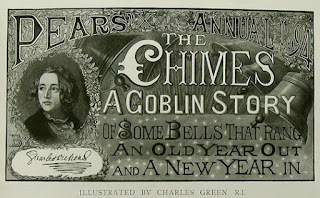 The book was written and published in early Victorian Era Britain, a period when there was both strong nostalgia for old Christmas traditions and an initiation of new practices such as Christmas trees and greeting cards. 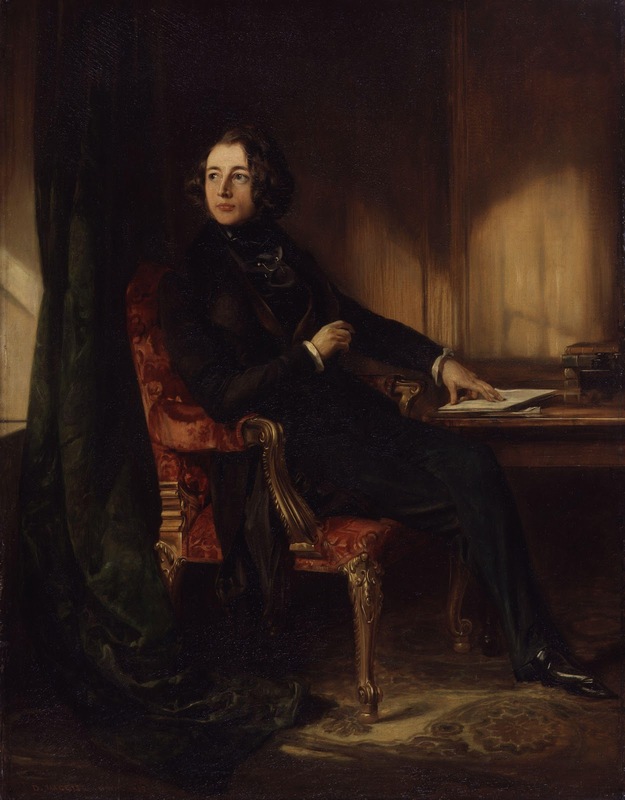 Dickens's sources for the tale appear to be many and varied but are principally the humiliating experiences of his childhood, his sympathy for the poor, and various Christmas stories and fairy tales. 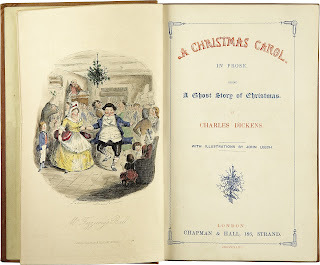 DICKENS, Charles – A Christmas Carol HRISTMAS CAROL. New York: The Baker & Taylor Company, 1905. 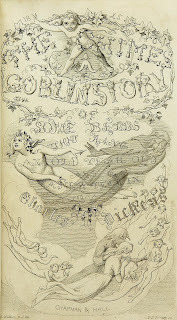 Illustrated by George Alfred Williams. 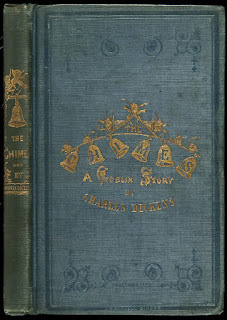 The tale has been viewed by critics as an indictment of 19th-century industrial capitalism. 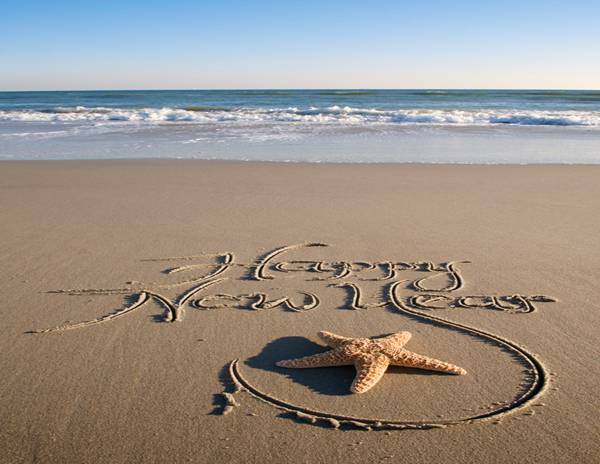 It has been credited with restoring the holiday to one of merriment and festivity in Britain and America after a period of sobriety and sombreness. The Battle of Life: A Love Story is a novella by Charles Dickens, first published in 1846. 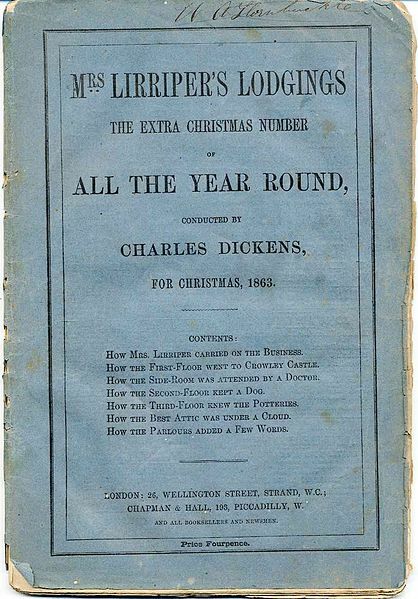 It is the fourth of his five "Christmas Books", coming after The Cricket on the Hearth and followed by The Haunted Man and the Ghost's Bargain. The setting is an English village that stands on the site of a historic battle. 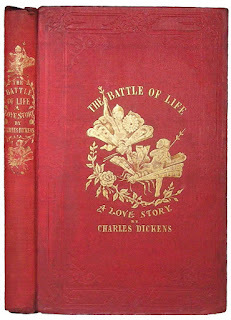 Some characters refer to the battle as a metaphor for the struggles of life, hence the title. Battle is the only one of the five Christmas Books that has no supernatural or explicitly religious elements. (One scene takes place at Christmas time, but it is not the final scene.) The story bears some resemblance to The Cricket on the Hearth in two aspects: it has a non-urban setting and it is resolved with a romantic twist. It is even less of a social novel than is Cricket. 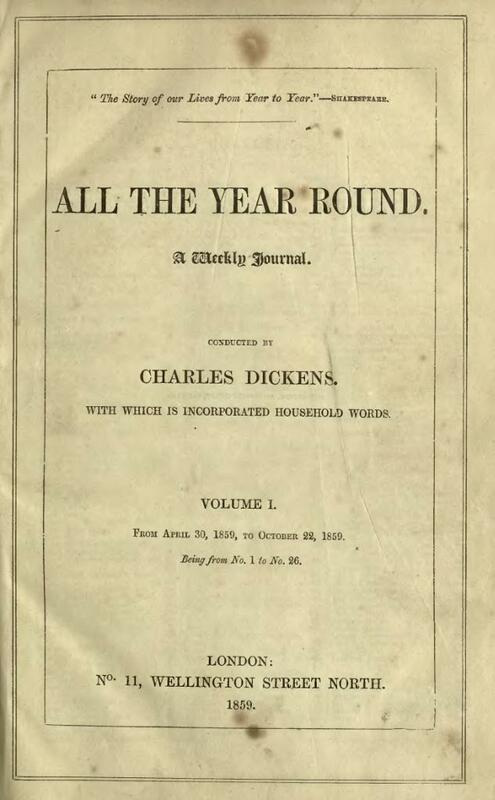 As is typical with Dickens, the ending is a happy one. 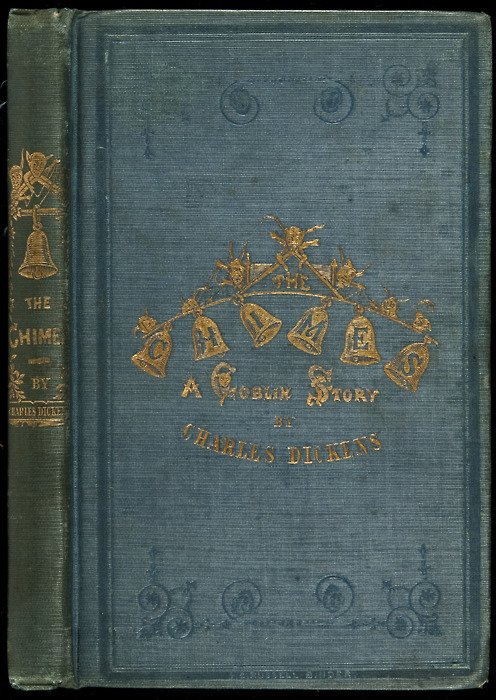 It is one of Dickens' lesser-known works and has never attained any high level of popularity, a trait it shares among the Christmas Books with The Haunted Man. 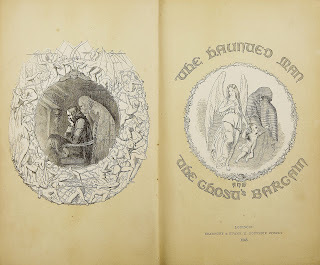 The Haunted Man and the Ghost’s Bargain, A Fancy for Christmas-Time (better known as The Haunted Man and the Ghost’s Bargain or simply as The Haunted Man) is a novella by Charles Dickens first published in 1848. It is the fifth and last of Dickens' Christmas novellas. The story is more about the spirit of the holidays than about the holidays themselves, harking back to the first of the series, A Christmas Carol. The tale centers around a Professor Redlaw and those close to him. 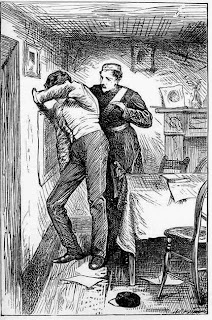 "The Tale of Richard Doubledick" from "The Seven Poor Travellers"
originally appeared in Household Words (1854). 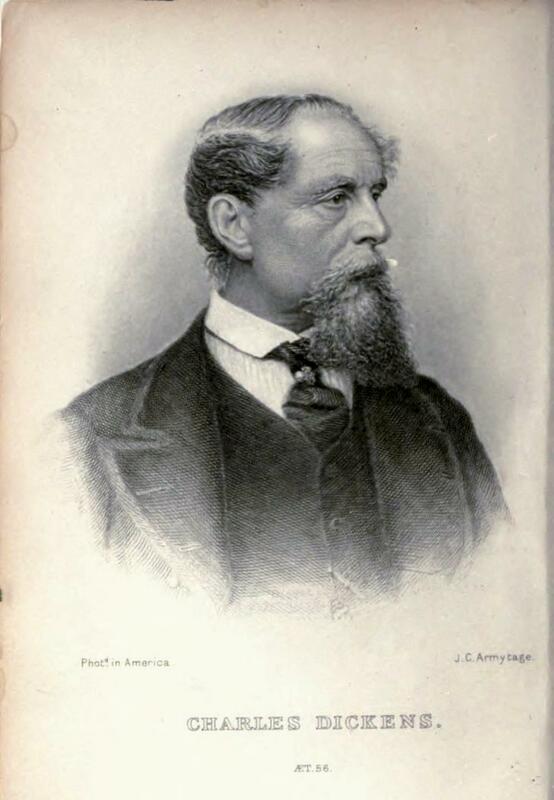 A House to Let is a short story by Charles Dickens, Wilkie Collins, Elizabeth Gaskell and Adelaide Anne Procter. 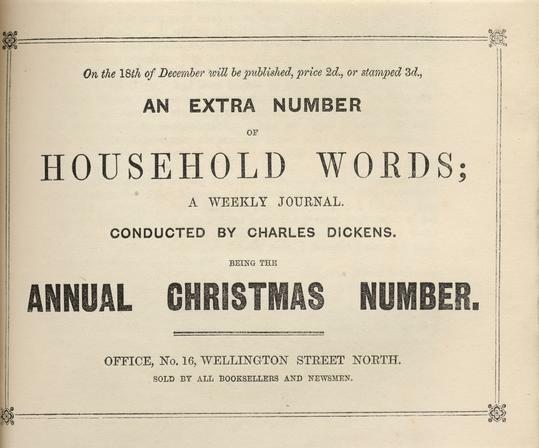 It was originally published in 1858 in the Christmas edition of Dickens' Household Words magazine. 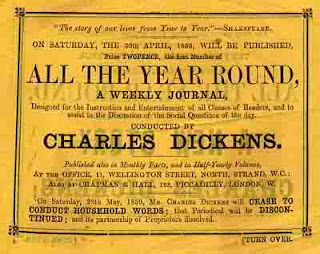 Each of the contributors wrote a chapter and the story was edited by Dickens. 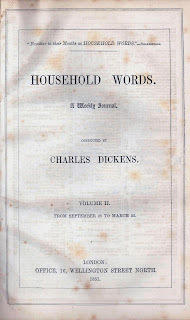 A House to Let was the first collaboration between the four writers, although Collins and Dickens had worked with Procter on previous Christmas stories for the magazine in 1854, 1855, and 1856. 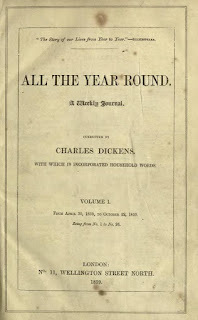 The four authors would write together again in 1859's "The Haunted House" which appeared in the extra Christmas number of All the Year Round, the successor to Household Words which Dickens had started after a dispute with his publishers. 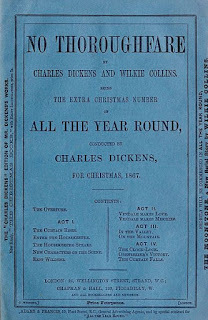 In 1867 Charles Dickens and Wilkie Collins collaborated to produce a stage play titled No Thoroughfare: A Drama: In Five Acts. 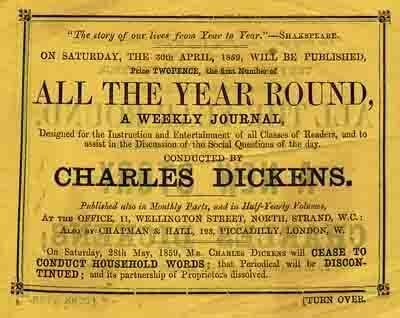 This was the last stage production to be associated with Dickens, who died in June 1870. 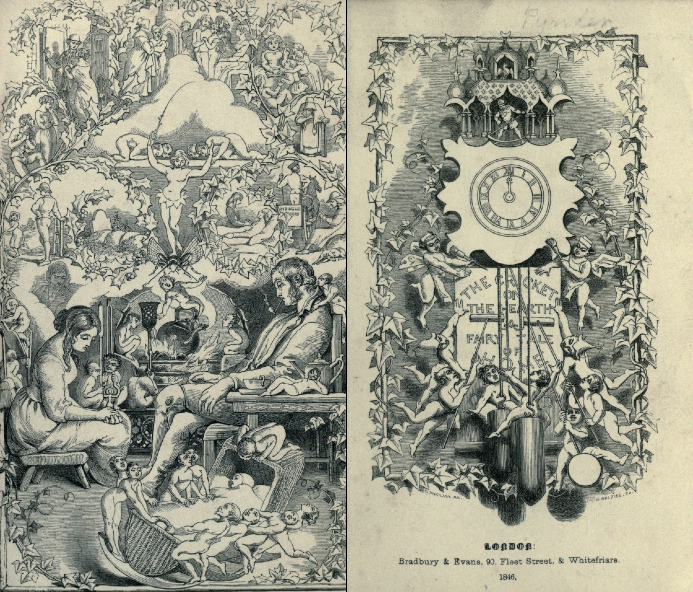 The play opened at the Adelphi Theatre on 26 December 1867. 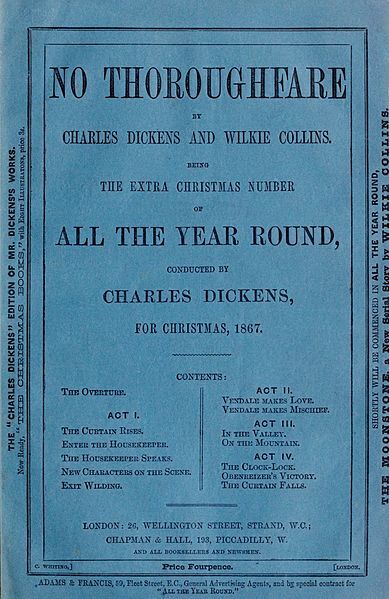 The novel No Thoroughfare was also first published in 1867, in the Christmas number of Dickens' periodical All The Year Round. 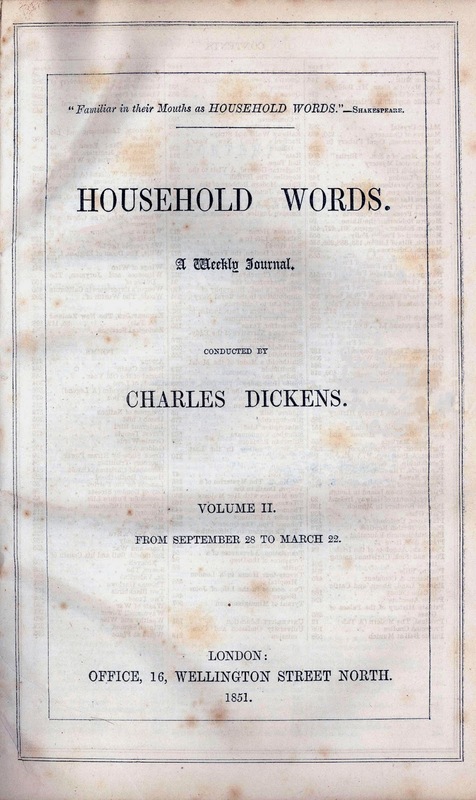 There are thematic parallels with other books from Dickens' mature writings, including Little Dorrit (1857) and especially Our Mutual Friend (1865). 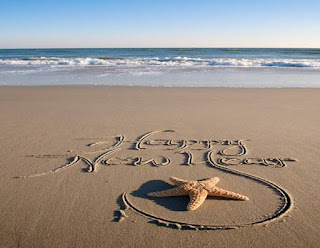 E após este apontamento natalício resta-me apenas expressar os meus votos de Boas Festas e de um Feliz Natal para todos vós. Succession Lally-Tolendal – Montesquieu & Le siècle des Lumières – Manuscrites et Documents historiques. Ao tomar conhecimento, infelizmente só hoje, do leilão que a empresa leiloeira francesa Le Breche & Associés vai realizar em Paris já amanhã – 18 de Dezembro – não resisti a escrever este apontamento sobre o mesmo. É um leilão onde estará em praça um excepcional lote de manuscritos – e aqui estamos no último estadio da bibliofila (como diz um prezado amigo livreiro-antiquário e com quem concordo) – onde a sua grande qualidade bem como os punhos das personalidades que os escreveram tornam-no num acontecimento de inegável importância para o universo bibliófilo. O leilão decorrerá já amanhã 18 de Dezembro pelas 14 horas em Paris na SALLE VV 3 rue Rossini. «Nous remercions chaleureusement la société Montesquieu pour avoir éclairé l'ensemble des écrits présentés, en communiquant en avant-première de nombreuses informations inédites, extraites du volume de la correspondance deMontesquieu, qui livre un commentaire approfondi de chacun des documents présents dans ce catalogue. 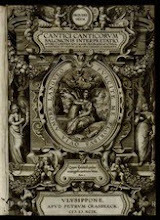 Cet ouvrage, à paraître en 2013 chez ENS éditions et Classiques Garnier, constitue le tome XIX de l'édition critique des OEuvres complètes de Montesquieu, dirigée par P. Rétat et C. Volpilhac-Auger, dont les vingt-deux volumes (treize publiés à ce jour) renouvellent complètement l’oeuvre du philosophe. Nous remercions égalementMadame Catherine Volpilhac-Auger d'avoir bien voulu nous faire généreusement bénéficier de ses recherches. 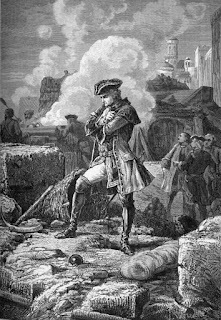 Charles-Louis de Secondat, ou simplesmente Charles de Montesquieu, senhor de La Brède ou barão de Montesquieu nasceu no chatêau de La Brède, próximo a Bordéus, 18 de Janeiro de 1689 e faleceu em Paris a 10 de Fevereiro de 1755. Foi um político, filósofo e escritor francês. Ficou famoso pela sua Teoria da Separação dos Poderes, actualmente consagrada em muitas das modernas constituições internacionais. Aristocrata, filho de família nobre, nasceu no dia 18 de Janeiro de 1689 e cedo teve formação iluminista com padres oratorianos. Revelou-se um crítico severo e irónico da monarquia absolutista decadente, bem como do clero católico. Adquiriu sólidos conhecimentos humanísticos e jurídicos, mas também frequentou em Paris os círculos da boémia literária. Em 1714, entrou para o tribunal provincial de Bordéus, que presidiu de 1716 a 1726. Fez longas viagens pela Europa e, de 1729 a 1731, esteve na Inglaterra. Morreu em Paris, no dia 10 de Fevereiro de 1755. Mas passemos a analisar alguns dos seus lotes. BELLE LETTRE AU SUJET DE CRITIQUES DE SES CONSIDÉRATIONS SUR LES CAUSES DE LA GRANDEUR DES ROMAINS ET DE LEUR DÉCADENCE. BELLE LETTRE À SON AMI JEAN BARBOT (1695-1771, président à la Cour des Aides de Bordeaux, et directeur de l’Académie de Bordeaux). «Je reçois vos beaux livres avec bien de la reconoissance mon cher president. Je vay monter dans ma bibliotheque pour vous envoyer les miens. Je vous renvoy la theorie des vaisseaux que j’ay deja et vous pourrés en faire plaisir a quelque autre». 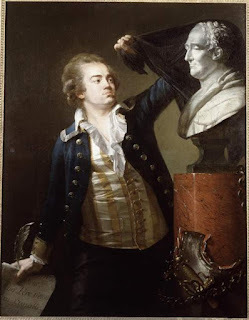 Puis il évoque la candidature à l’Académie de Bordeaux de Paradis deMONCRIF (1687-1770), secrétaire du comte de Clermont et auteur de l’Histoire des chats (d’où l’orthographe Mongrife), et fait allusion à l’emprisonnement de CRÉBILLON fils à la suite de son roman Tanzaï et Néadarné : « Je ne serois pas faché que le compte de Clairmond eut disgracié Mongrife avant de nous en faire present quoy quil soit bon garçon il est encore trop plat pour nous. Il me semble que la porte du Parnasse est la meme que celle de la Bastille. Je croy que ce Crebillon fils est Macarty le cadet et Voltaire l’aîné ». Il fait allusion à l’article du Mercure de France (novembre 1734) sur les Considérations sur les Romains : « Scachés que les louanges donées dans un Mercure ne dedomagent point des critiques faites sur le tabouret d’une duchesse surtout lors quelles sont aidées dun signe de la grosse teste de Navarre et dun air affectueux du visage affilé de la contesse ». Puis il évoque les affaires de Bordeaux : la mort du premier président Gillet de La Caze, le sous-maire Joseph de SÉGUR, et l’Académie de Bordeaux : « Je ne crains point Segur parce que quand il verra pour lui un interest de six francs il fera ce que je voudray sur l’affaire des jurats. Jaime les ames basses a la folie. Je serois transporté de voir a La Brède notre president quoy quil en soit je le verray a Bordeaux. Pour la place d’assossié vous pouvés disposer de moy. 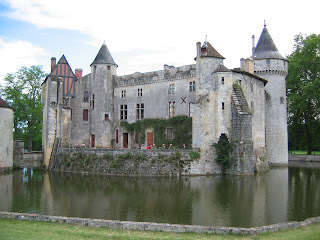 Vous devriez bien en faire donner une au pere CASTEL le Cimbalum Mundi ». Encontramos também um bom lote de manuscritos da correspondência de Georges Duval de Leyrit. Georges Duval de Leyrit nasceu a 7. De Agosto de 1715 (leHavre) e faleu em 9 de Abril de 1764. 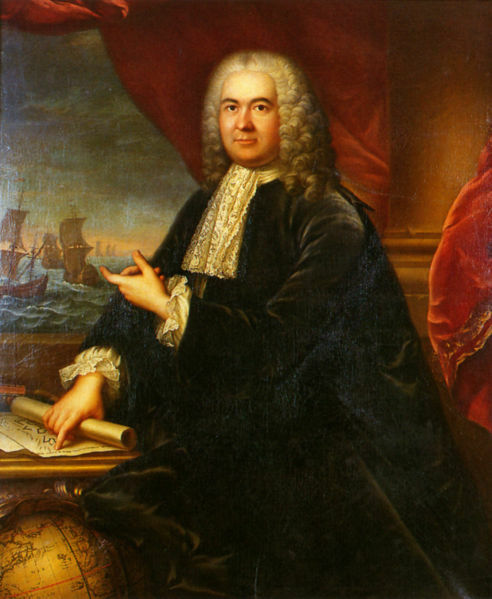 Foi membro do Conselho superior de Pondichéry, nomeado a 15 de Janeiro de 1741, Gouvernador de Pondichéry, nomeado a 14 de Março de 1754 até 1758, e finalmente Governador-geral da Companhia das Indias Francesas, da qual foi empregado. 51. Georges DUVAL DE LEYRIT (1717-1764) employé de la Compagnie française des Indes, gouverneur de Pondichéry. 22 L.S., 8 P.S., plus 4 pièces manuscrites jointes, Pondichéry 1759, la plupart aux syndics et directeurs de la COMPAGNIE DES INDES, dont 4 au « Comité secret » ; 154 pages in-fol., dont 9 cahiers liés d’un ruban rose ou bleu (3 documents avec mouill. et bord abîmé). IMPORTANTE CORRESPONDANCE SUR LE SIÈGE MANQUÉ DEMADRAS, LES ERREURS ET FAUTES DE LALLY-TOLENDAL, ET LA DÉTRESSE MATÉRIELLE QUI POUSSE L’ARMÉE À LA MUTINERIE. 19 février. Rapport au Comité secret, insistant sur les erreurs de LALLY : ses hésitations qui ont retardé le départ pour Madras jusqu’à la saison des pluies ; sa décision d’emmener toute l’armée, laissant les possessions de la Compagnie sans défense contre les pilleurs noirs soutenus par des Anglais ; sa décision de ne pas s’assurer Chingelpet avant d’aller à Madras, ayant pour conséquence la coupure des communications entre Pondichéry et Madras ; l’impréparation des troupes, qui, néanmoins, eurent l’avantage lors d’une sortie de l’ennemi le 14 décembre ; la sous-estimation du nombre des ennemis du dehors ; la décision de faire feu alors que le Corps royal eût préféré attendre l’arrivée de munitions ; « la méfiance et la jalousie » de Lally pour BUSSY qui l’ont empêché d’adopter le projet de celui-ci, etc. Lally a « tout sacrifié » pour prendre Madras : les provinces du Nord, les possessions des côtes, toutes les munitions, plus de 80 officiers et on ne sait combien d’hommes. Il eût fallu employer la négociation autant que la force, et profiter de l’expérience et des connaissances de Bussy. Mais Lally « a conçu contre luy tant d’ombrage qu’il ne veut absolument faire aucun usage de sa bonne volonté. Il [Bussy] a fait jusqu’à present le service de brigadier au siège et s’y est distingué »…10 mars. Nouvelles de la levée du siège, le 17 février, après l’arrivée de renforts anglais. « Mr de LALLY a entamé à Arcatte quelques négociations avec les Marattes, et le fossédar de Velour : il demandoit à celui cy de l’argent, et vouloit engager les autres à se déclarer contre les anglais. Il paroît qu’il n’a reussi ny d’un côté ny d l’autre »… Leyrit l’a mis en garde contre l’entrée des Mahrattes dans la province, et il transmet toute leur correspondance: « Il est étrangement prévenu contreMr de BUSSY qu’il semble accuser de trahison. 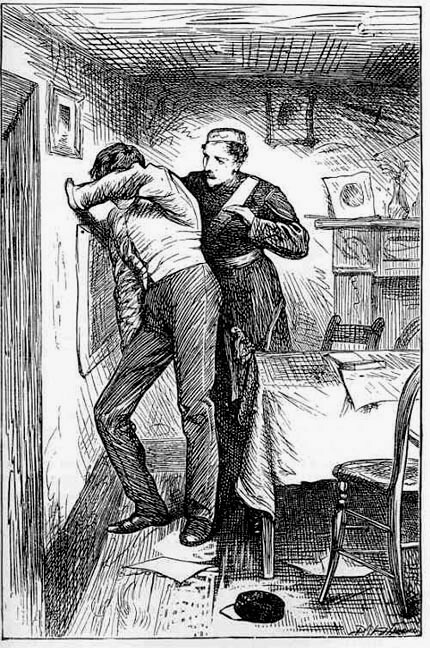 Accusation frivole […]. Il a voulu aussy en accuser Mrs les officiers du corps royal. Il ne sait sur qui rejetter le mauvais succès de son entreprise»…13 mars. Leyrit voit « avec peine » les soupçons qui éloignent Lally de toutes les personnes qui pourraient lui être utiles…30 avril. Bilan désastreux des affaires de la colonie, confié au Comité secret, deux mois après la levée du siège : état désavantageux des troupes françaises, découragement des officiers, manque de munitions, imprudences de LALLY ; défaite de CONFLANS dans le Nord ; embarquement de MORACIN, au lieu de Bussy, pour secourir Mazulipatam assiégée…Leyrit n’a rien pour rembourser LAW de ses secours aux familles de Chandernagor car « Mr de Lally s’empare pour son armée de touts ceux sur lesquels il peut mettre la main » (sont à ses ordres les nouveaux fermiers et le percepteur des revenus d’Arcate et des pays conquis), et pourtant il cherche à rendre Leyrit responsable de l’approvisionnement de Pondichéry et des places…BUSSY est « le seul qui puisse nous rétablir dans le nord » mais il voudrait partir… Leyrit transmet des copies ou extraits de lettres de ZIEGENBALQ, directeur pour la Compagnie de Danemark à Bengale, et LA BRETESCHE, conseiller, à propos des affaires de la Compagnie française à Bengale ; un état des officiers tués ou blessés pendant la campagne de Madras ; une lettre d’un officier à Bussy sur le siège de Mazulipatam… 21 juin. LALLY voulait chasser les ennemis de Cangivaron, mais son mouvement n’a occasionné que « quelques escarmouches où nous avons perdû une trentaine d’hommes »…Ils sont dans la misère, les troupes n’ont pas été payées depuis six ou sept mois ; les Anglais attendent deux escadres, dont celle de l’amiral POCOCK… 20 juillet et 18 août. Détails sur la défaite de Mazulipatam, mal défendue par CONFLANS ; DUROCHER DE LA PERRINE s’est tenu trop loin de la place pour faire diversion… Refus de SALABETZINGUE de livrer aux Anglais les quatre provinces… MORACIN s’est rendu maître de Chicacol… Détails sur la prise du fort de Thiagar, et nouvelles de la négociation deMAINVILLE pour engager NANDI RAJA à se joindre aux Français pour prendre Trichinapaly…Vive critique des décisions de LALLY concernant la régie des terres d’Arcate, et de son âpreté à s’emparer de tous les fonds pour payer ses troupes. BUSSY, « mécontent et dégouté », veut repasser en France par la première occasion… « La paix est aujourd’huy le remède le plus sur à nos maux »…Il joint deux mémoires qu’il a présentés au Conseil, contre la nomination de RAJAH-SAËB à la Nababie d’Arcate, et un extrait d’une lettre de LEVERRIER, chef à Surate, à propos de cette place…30 septembre. Si les craintes que le comte d’ACHÉ a pour son escadre ont précipité son départ, « je ne sais si la mésintelligence et l’animosité qui regnent entre lui et M. de Lally n’y ont pas aussi contribué »… Une lettre du même jour à Antoine DESFORGES-BOUCHER, gouverneur de l’île de France (Maurice), donne des détails sur le départ de D’ACHÉ (copie jointe). 11 octobre. Le comte d’ACHÉ a livré une troisième bataille navale, le 10 septembre : « combat indécis », on a manqué de peu de détruire l’escadre anglaise… L’arrivée de BUSSY à l’armée, avec des renforts, produira un bon effet, quelque mauvaise opinion que LALLY ait de lui, mais il ne faut pas se flatter qu’il puisse nous rendre la supériorité : « Le projet formé pour la destruction des Anglois est manqué »… Critiques d’erreurs militaires et diplomatiques de Lally, de son idée de billets de caisse, de sa nomination de RAHJA-SAËB nabab d’Arcate…Ils ont imposé sévèrement lesMalabars : « les plus riches ont été jettés dans des cachots […]. Tous les habitants seroient sortis de la ville et auroient été se réfugier chez les Paléagars, si M. de Lally n’eut pris des précautions pour les en empêcher. Ils se sont attroupés, ils ont fait entendre dans la ville leurs plaintes et leurs clameurs, ils ont fermé leurs boutiques et leurs bazards ; mais ce soulevement n’a point eû de suites ; deux potences dressées dans la ville et quelques menaçes ont soumis ce peuple docile et timide »…Lally, mal conseillé, a transformé nos amis en ennemis, et réduit nos possessions aux environs de Pondichéry et à la ville d’Arcate… D’ACHÉ s’obstine à mener son escadre à l’île de France, MORACIN n’a fait dans le Nord aucun progrès, LAW est acculé sans ressources à Choterpour, et Leyrit n’a plus une roupie…18 octobre. L’escadre du comte d’ACHÉ est partie le 1er octobre, malgré les protestations de Lally et du Conseil… Les Anglais ont été repoussés de Vandavachy, mais s’ils reçoivent des renforts, « ils seront beaucoup plus forts que nous par terre et par mer »… 23 octobre. Leyrit a épuisé ses ressources et son crédit pour seconder Lally dans ses opérations : « M. de LALLY ne m’a jamais rendu sur cela la justice que je méritois ; mais j’ai pour moy le suffrage du plus grand nombre des officiers de l’armée […]. J’espère que la Compagnie voudra bien ne pas s’en rapporter aux plaintes vagues et indéterminées qu’il pourra lui faire »…Il rend compte de l’établissement de deux caisses particulières, dont Lally s’est réservé la distribution des lettres de change ; l’argent est si rare, et les billets de caisse si répandus, que l’on préfère des lettres de change à trois ans de vue… – Envoi d’un tableau des officiers des troupes de l’Inde au service de la Compagnie… 25 octobre. Compte rendu de la mutinerie de soldats à Vandavachy, à commencer par le régiment de Lorraine : « ces troupes se sont emparé de l’artillerie et de toutes les munitions et ont entraisné avec elles le bataillon de l’Inde que les officiers avoient fait mettre en bataille et contre lequel elles ont pointé leurs canons »… Retirés au camp que les Anglais avaient quitté il y a peu de jours, ils ont résisté aux tentatives de leurs officiers pour les détourner de leur résolution. « On leur avoit rapporté que Mr de LALLY devoit s’embarquer sur un des vaisseaux qui étoient en rade et qu’il emportoit avec luy cinq millions, ils disoient qu’il avoit été débarqué huit cent mille roupies de l’escadre et pour huit cent mille livres de diamants, qu’on avoit retiré de la taxe que l’on avoit fait sur les habitans malabars des sommes considérables et qu’enfin on ne devoit point manquer d’argent pour les payer »…À Pondichéry, les particuliers durent envoyer leur argenterie à la monnaie pour en faire des roupies, et M. de FUMEL, major-général de l’armée, fut dépêché au camp des révoltés… Leyrit rappelle ses fréquents augures d’une ruine prochaine. « Les fonds que Mr de Lally parvient à se procurer aujourd’huy par des moyens forcés et extraordinaires ne font que la differer de quelque tems »… 11 novembre. Révolte à Arcate, où il y avait 4 compagnies de grenadiers, dont une de Lorraine, une de Lally et deux de l’Inde, qui n’avaient pas pris part à la première et qui ont considéré que leur demi-mois de paye était non un acompte sur les six mois dus mais une gratification : ils « ont voulu faire feu sur leurs officiers qui ont été obligés de se soustraire à leur fureur »… Exposé des mouvements de troupes de Vandavachy et Thiagar à Arcate, et de la jonction projetée avec l’armée de BASSALETZINGUE, que doit amener BUSSY ; estimation des forces en présence ; nouvelles de mouvements de vaisseaux anglais et hollandais... Cette lettre figure en 2 exemplaires, dont un en partie chiffré. 12 et 15 décembre. On apprend que BUSSY doit incessamment arriver à Arcate avec 2000 Cipayes et 700 à 800 cavaliers, mais qu’il n’a pu déterminer BASSALETZINGUE à venir. La division de nos forces « contre toutes les regles de la prudence » a permis aux ennemis de dévaster une grande partie des terres dont les revenus paient les troupes, leur subsistance etc. « La prise de Chéringham ne nous dédomagera pas de cette perte »… – Nouvelle de la prise de Carangouly. « Les ennemis se rassemblent à Vandavachy et nous à Arcate dont ils ont levé le siege à l’approche deMr de BUSSY, qui doit incessament se mettre en campagne pour chasser l’ennemy au-dela du Paler »… Cependant les troupes blanches paraissent « déterminées à ne point marcher si on ne leur paye ce qui leur est dû jusqu’à ce jour »… LALLY a obtenu 8 à 10 000 hommes grâce à une négociation avec MORARAO, mais leur soldemontera à 80 000 roupies par mois…20 décembre. Envoi de l’extrait d’une lettre d’ANQUETIL DE BRIANCOURT, de Surate, sur la prise de navires anglais par des vaisseaux français : « Bombay est dans des trances inexprimables. Suratte quoyque tout aux Anglois couve un feu qui causera une incendie à la premiere etincelle françoise »… Plus l’extrait d’une lettre de LOUET, commandant de Mahé : plaintes que Lally n’ait jamais répondu à ses questions concernant la neutralité, nouvelle de l’arrivée de l’escadre de POCOCK, et écho d’un équipage français assassiné par des cafres achetés à Goa…30 décembre. À Bengale les Anglais seraient déterminés à s’opposer au débarquement des troupes que les Hollandais ont envoyées dans le Gange ; ces derniers comptent sur les dispositions des Maures. « Tous les anglais qui étoient a Négeaille ont été massacrés par les Brâmas »… Etc. ON JOINT un résumé (« extrait ») de la lettre du 20 juillet, un « Précis » de 4 autres (10 pp. in-fol. ), et un état des vaisseaux anglais engagés en Inde en 1759-1760 (1 p. in-fol.). Thomas Arthur, barão de Tollendal, conde de Lally, chamado «Lally-Tollendal», baptizado a 13 de Janeiro de 1702 à Romans foi executado na praça de Grève, em Paris, a 9 de Maio de 1766, era um militar e alto funcionário francês de origem irlandesa. 57. 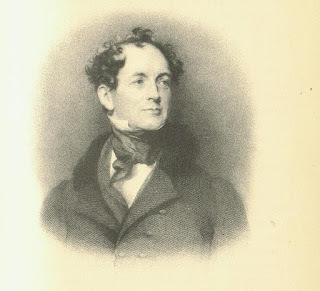 Thomas-Arthur de LALLY-TOLENDAL. Copies anciennes de 2 mémoires et 6 lettres, Saint-Pétersbourg 1738, au cardinal de FLEURY ; 68 pages in-fol., dont 3 cahiers liés d’un ruban bleu. Temos também manuscritos de seu filho Trophime-Gérard, conde de Lally, barão de Tollendal, e depois marquês de Lally-Tollendal, mais conecido pelo nome de Gérard de Lally-Tollendal, nasceu a 5 de março de 1751 em Paris onde faleceu a 11 março de 1830. Foi um político e homem de letras francês. 84. Trophime-Gérard de LALLY-TOLENDAL.MANUSCRITS autographes pour un Abrégé du procès ; 51 pages in-fol. ou in-4. MANUSCRITS POUR UN ABRÉGÉ DE L’HISTOIRE DES PROCÈS DU GÉNÉRAL LALLY, D’ABORD DEVANT LE PARLEMENT DE PARIS, ENSUITE EN RÉVISION DEVANT LES PARLEMENTS DE BRETAGNE, PUIS DE BOURGOGNE. Des suppressions réalisées ou envisagées, et des indications de mise en pages en colonnes, attestent que l’auteur cherchait à tenir sa narration dans des bornes prescrites. Environ la moitié de l’ensemble forme une relation de l’instruction et duprocès du Châtelet (1763-1766) ; trois versions existent du dénouement, mettant en scène un Louis XV mpuissant devant le verdict. Un autre fragment raconte la cassation de cet arrêt par le Conseil d’État, et le renvoi du procès à Rouen « pour y être non seulement jugé, mais instruit » (1778), procédure suivie d’une nouvelle condamnation, d’une nouvelle cassation et d’un renvoi de l’affaire à Dijon (1780). Il existe trois autres versions du début de ce fragment, ainsi qu’une page de souvenirs personnels du choc qu’eut l’écolier, en apprenant l’exécution imminente de son père. Citons ce fragment dépeignant Trophime, à Rouen, face aux manoeuvres de DUVAL D’ÉPRÉMESNIL : « Le fils qui défendait son père victime d’un meurtre judiciaire fut couvert des applaudissemens du public, et le neveu d’un oncle mort tranquillement dans son lit, après avoir été le dénonciateur acharné de la victime, recueillit des marques non moins énergiques de l’indignation publique. Un arrêt rendu sur les conclusions de M. l’avocat general Grécourt fut lu à l’audience pour défendre les applaudissemens & les huées. Dans le cours meme de cette audience,Mr d’Epremesnil, en ayant recueilli plus qu’à l’ordinaire, se tourna vers le public, et lui dit avec un regard & un ton offensant : je croyais que la Cour avait rendu un arrêt. Le public répondit par des huées plus fortes que jamais »... Etc. Voltaire também está presente neste precioso leilão. François Marie Arouet, mais conhecido como Voltaire nasceu em Paris a 21 de Novembro de 1694 e aqui faleceu em 30 de Maio de 1778. Foi um escritor, ensaísta, deísta e filósofo iluminista francês. Conhecido pela sua perspicácia e espirituosidade na defesa das liberdades civis, inclusive liberdade religiosa e livre comércio. É uma dentre muitas figuras do Iluminismo cujas obras e ideias influenciaram pensadores importantes tanto da Revolução Francesa quanto da Americana. Escritor prolífico, Voltaire produziu cerca de 70 obras em quase todas as formas literárias, assinando peças de teatro, poemas, romances, ensaios, obras científicas e históricas, mais de 20 mil cartas e mais de 2 mil livros e panfletos. Foi um defensor aberto da reforma social apesar das rígidas leis de censura e severas punições para quem as quebrasse. Um polemista satírico, usou frequentemente suas obras para criticar a Igreja Católica e as instituições francesas do seu tempo. Ficou conhecido por dirigir duras críticas aos reis absolutistas e aos privilégios do clero e da nobreza. Por dizer o que pensava, foi preso duas vezes e, para escapar a uma nova prisão, refugiou-se na Inglaterra. Durante os três anos em que permaneceu naquele país, conheceu e passou a admirar as ideias políticas de John Locke. Comprometido intelectualmente no serviço da verdade e da justiça, tomou sózinho e servindo-se apenas da sua imensa fama, a defesa das vítimas de intolerância religiosa e arbitrária em casos que ele tornou célebres (Calas, Sirven, chevalier de La Barre, conde de Lally). Temos ainda correspondência de Jeanne Louise Henriette Genet Campan, de seu nome de solteira Henriette Genet, nasceu a 2 de Outubro de 1752 em Paris e morreu a 16 de Março de 1822 em Mantes, foi uma educadora francesa. 105. Jeanne Louise Genet, Madame CAMPAN. L.A. et P.A.S. « G.C. », 19 juin v.s. et 1er messidor IV [19 juin 1796, au comte Trophime-Gérard de LALLY-TOLENDAL] ; 1 page et demie in-4 avec adresse « Au papa d’Eliza », et 1 page in-4 en partie imprimée à en-tête Maison d’Éducation de la Citoyenne Campan. BULLETIN MENSUEL D’ÉLISABETH DE LALLY-TOLENDAL, À L’ÂGE DE NEUF ANS ET DEMI. Outro ilustre persongem que aqui surge é Marie-Joseph Paul Yves Roch Gilbert du Motier, mais conhecido como Marquês de La Fayette que nasceu em Auvergne a 6 de Setembro de 1757 e faleceu em Paris a 20 de Maio de 1834. Foi um aristocrata francês famoso por sua participação na Guerra da Independência dos Estados Unidos da América e nos primórdios da Revolução Francesa. 153. 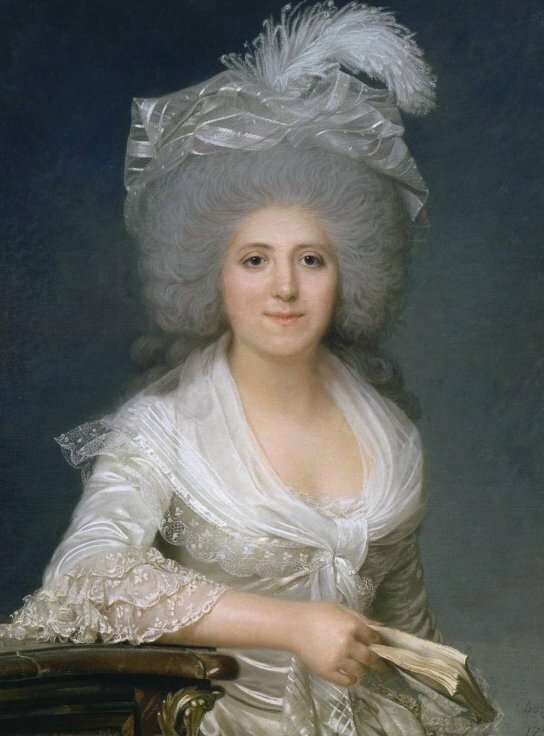 Marie-Joseph de LAFAYETTE. L.A.S., La Grange 27 juin , à la marquise d’AUX (née Élisabeth de LALLY-TOLENDAL) ; 1 page in-4, adresse. E para terminar faço referência a este manuscrito ostentando o brasão da família de Lally. 155. Famille de LALLY. MANUSCRIT AVEC ARMOIRIES PEINTES, Genealogy of the house of Lally, [fin XVIIIe s.] ; cahier grand in-fol. de 29 pages (dont 21 illustrées), couverture (un peu fatiguée) de papier marbré, lié d’un ruban blanc. Apesar do muito que disse e escrevi, muitos personagens ficaram por referir, caso de manuscritos de alguns reis de França, e muitos lotes por apresentar, mas para isso aí está o excepcional catálogo para poderem ler atentamente, pois os documentos nele incluidos são uma fonte inesgotável de informações para a história do pensamento e dos acontecimentos políticos do Iluminismo/Siècle des Lumières. Para todos aqueles que quiserem consultar o resultado final de venda dos diversos lotes, o que infelizmente não disponibilizado entre nós, podem aceder aqui. (1) Français: À l'arrière-plan, de gauche à droite figurent Gresset, Marivaux, Marmontel, Vien, Thomas, La Condamine, l'abbé Raynal, Rousseau, Rameau, Mlle Clairon, Hénault, le duc de Choiseul, la statue de Voltaire [dont on lit "l'Orphelin de la Chine"], d'Argental, Saint-Lambert, Bouchardon, Soufflot, Danville, le comte de Caylus, Bartolomeo de Felice, Quesnay, Diderot, le baron de l'Aune Turgot, Malesherbes, le marcéhal de Richelieu, plus loin : Maupertuis, Mairan, d'Aguesseau, Clairaut le secrétaire de l'Académie enfin. 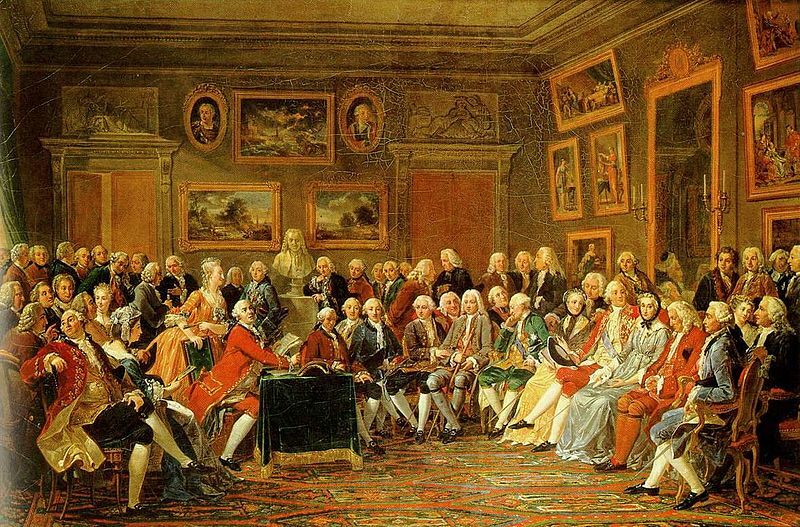 Au premier rang, de droite à gauche, devant Clairaut : Montesquieu, la comtesse d'Houdetot, Vernet, Fontenelle, Mme Geoffrin, le prince de Conti, la duchesse d'Anville, le duc de Nivernais, Bernis, Crébillon, Piron, Duclos, Helvétius, Vanloo, d'Alembert derrière le bureau, Lekain en train de lire, plus à gauche Mlle de Lespinasse, Mme du Bocage, Réaumur, Mme de Graffigny, Condillac, tout à gauche Jussieu, devant lui Daubenton, et enfin Buffon. 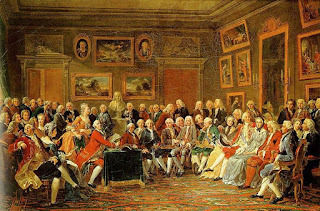 English: The picture shows a gathering of distinguished guests in the drawing-room of French hostess Marie-Thérèse Rodet Geoffrin (1699-1777) who is seated on the right. There is a bust of Voltaire in the background. Signature et date en bas à gauche : Lemonnier/f. 1812.